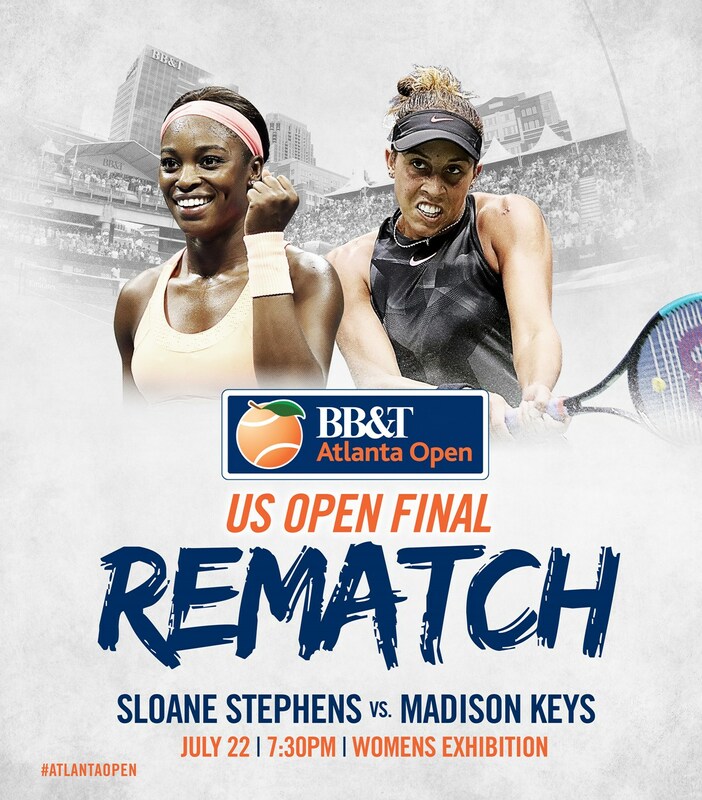 BB&T Atlanta Open Tournament Director Eddie Gonzalez announced today that 2017 U.S. Open champion, Sloane Stephens, and the 2017 U.S. Open finalist, Madison Keys, will be featured in the special Sunday, July 22, women's exhibition session at 7:30 p.m. Tickets are on sale now for all sessions at bbtatlantaopen.com. Stephens, 24, from Plantation, Fla., is currently ranked No. 13 on the WTA Tour and is coming off a year where she returned from a leg injury to win her first major title. Keys, 23, a native of Rock Island, Ill., sits right behind Stephens in the rankings at No. 14, and owns three career WTA titles. In addition to being last year's U.S. Open finalist, Keys is a past Australian Open semifinalist and reached the quarters at Wimbledon. "We like to say we are the ‘mini U.S. Open,’ and building on the success of our women's feature match in 2017, we are excited to offer fans a ‘U.S. Open Rematch’ in 2018," stated Gonzalez. Excitement is already brewing for this year's women's match. Making the women's match even more interesting is that Stephens and Keys aren't just rivals, they are good friends. "Anytime you step out on the court with Madison, it is a challenge, but in a good way,” said Stephens. “It's an honor to be a part of the tradition of having a women's match kickoff a men's event, in the BB&T Atlanta Open."